Wirtenberg, J., 2011. Sustainable Enterprise for the 21st Century. 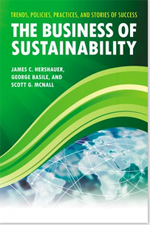 Chapter 4, Volume I (of 3 Volumes), S.G. McNall, J.C.Hershauer and G.Basile, (Editors), The Business of Sustainability: Trends, Policies, Practices and Stories of Success, Santa Barbara, Ca: ABC-CLIO, 67-88. Wirtenberg, J., 2011. Unleashing Talent in Service of a Sustainable Future. 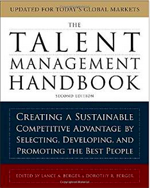 Chapter 37 in The Talent Management Handbook. New York: McGraw Hill, 374-384. November, 2010. 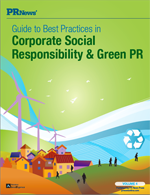 “PR Can — and Should — Help Companies Make Their Transition to ‘Green’” by Jeana Wirtenberg and RoseAnn Alspektor, PR News’: Guide to Best Practices in Corporate Social Responsibility (CSR) & Green PR, Volume 4. ”Human Resources (HR) thought leader Jeana Wirtenberg, Ph.D. is building bridges with HR professionals to link talent with the opportunity to transition organizations into the green economy. Jeana founded Transitioning to Green LLC consulting services when she “had the epiphany that HR leaders must step up and play a stronger role in moving organizations toward sustainability. 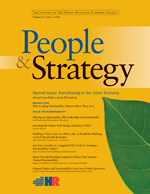 It will be the people in organizations and not technology alone that will make the transition to a green economy possible.” As People & Strategy’seditor for organizational effectiveness and the editor for the just published Special Issue of People & Strategy “Transitioning to the Green Economy” Jeana gathered multidisciplinary thought leaders and compelling case studies from around the world pointing to the need for HR’s role in the sustainability movement. This must read latest issue of People & Strategy is available for purchasing at www.hrps.org or contact Theresa Wojtalewicz at twojtalewicz@hrps.org for hard copies and multiple reprints. to help you on your journey.